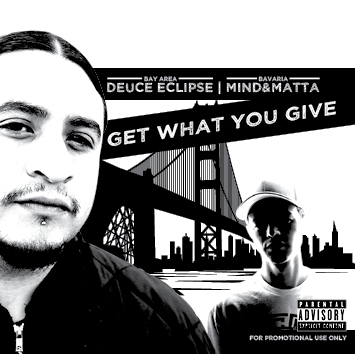 Get What You Give (2013) is the first album of Deuce Eclipse and Mind&Matta. The album features many great artists like: El Rock, J. Lately, Mista Thug, Santero, Gigio, Zumbi of Zion I, Kiwi, Ace Moon, D.U.S.T and Lord Mike.